WARNING: If you have no other security suits or protection installed on your system I highly recommend that you do not disable Windows Defender. Please note that without any security suits or protection the chance of getting infected with malware is very high. Again we recommend you only do this to test or to replace it with other software! 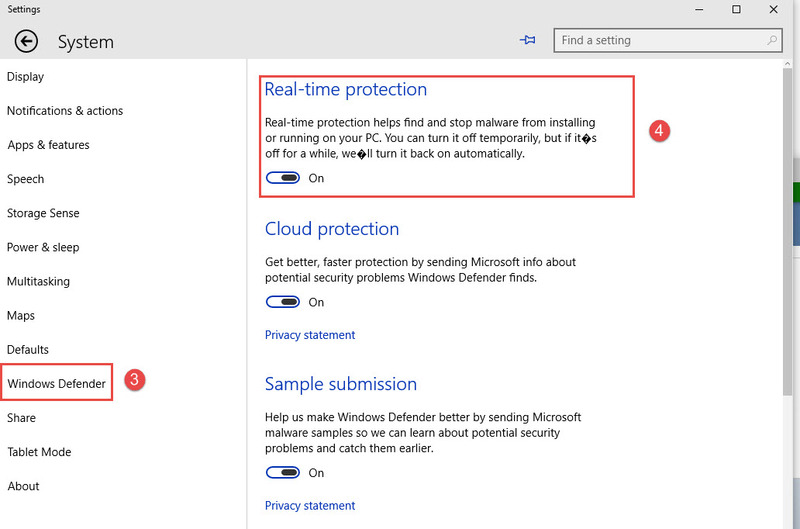 If you did all steps right, Windows Defender should now have been disabled in Windows 10. Yet again we want to say that it’s important to have security software on your computer. Do not leave your computer unprotected as you might and will get infected with malware. Malware can steal your private data or make your system experience unworkable. We hope this tutorial helped you to Disable Windows Defender in Windows 10. If you need more help then feel free to visit our forums where we can personally help you with your problems. It clearly says that if it’s been off for a while, it’ll turn back on..